Each year we at VSAFF presents one film from an African country that is not South African. This year it’s Burkina Faso – a country with a well-developed and sophisticated film industry. 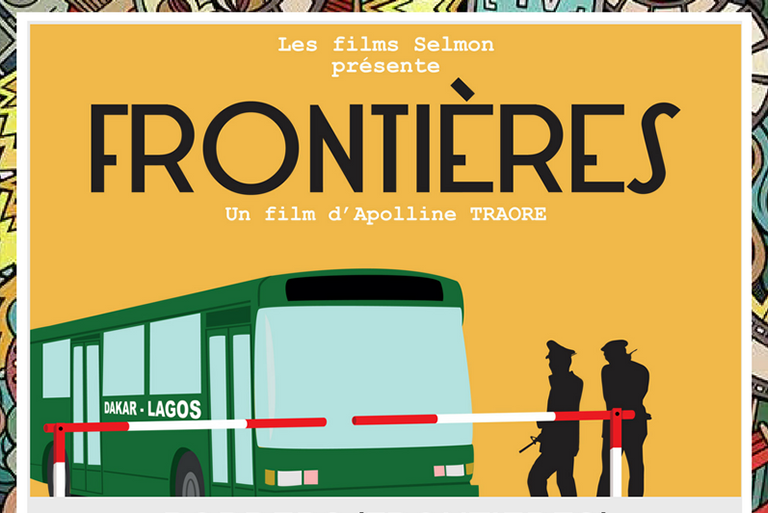 Borders is part road movie, part geography lesson, part examination of the political economy of West Africa, part thoughtful and complex feminist statement. And it’s 100% entertaining, with fascinating characters, terrific acting and a compelling narrative. Traveling from Dakar, Senegal, to Lagos, Nigeria to buy goods for her women’s association, Hadjara (spectacularly played by Amélie Mbaye) is an independent woman; she meets Emma, an Ivorian retailer experienced and toughened by 15 years of trading; Micha, a Nigerian returning to make up with her family at her sister’s wedding; and Sali, carrying out an errand for her fiancé. The quartet travels across many borders and must consistently deal with the men who stand in their way. With a backdrop of beautiful cinematography that showcases the exquisite landscape of West Africa, writer/director Apolline Traoré builds the film gradually from small experiences to large dramatic gestures, culminating in an epilogue of tremendous depth.